The 3rd international FOKUS Future Seamless Communication (FUSECO) Forum themed “Convergence of Human-to-Human and Machine-to-Machine Communications within Emerging Open Smart City ICT Infrastructures – Using Open APIs, RCS, IMS, MTC, EPC, and LTE as Enablers for Emerging Future Internet Application Domains” has been held at Fraunhofer FOKUS in Berlin, Germany on November 15-16, 2012 with big engagement of IEEE Comsoc members acting as tutorial speakers and chairmen at the event. The event was attended by around 200 industry and academic experts from more than 30 nations, which represents an increase of the number of attendees of 25% compared to the last year´s event. The FUSECO Forum is a unique annual event, providing a networking and technical discussion platform for international network operators, standardization development organizations, and leading academic organizations dealing with the evolution of service control platforms for fixed and mobile next generation networks towards Smart Cities. 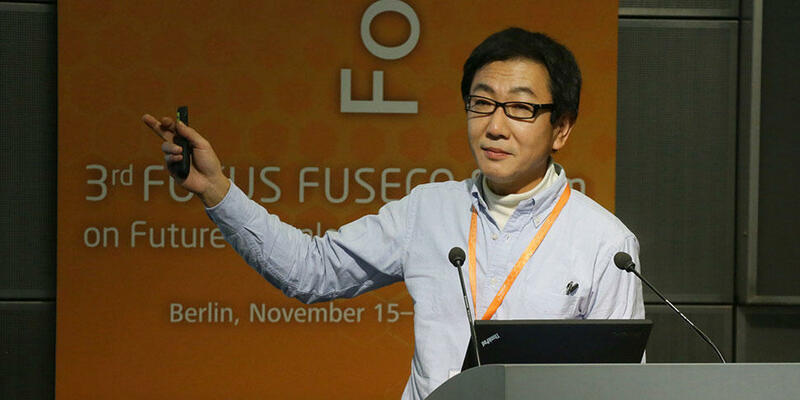 In this context the FUSECO Forum took a holistic view on global Long-term Evolution (LTE) rollout and coincident deployment of Evolved Packet Core (EPC) platforms, the usage of IMS (IP Multimedia Subsystem) for the provision of Voice over LTE (VoLTE) and emerging Rich Communications Services (RCS), competing with successful over the top (OTT) voice and video services, as well as machine to machine (M2M) / machine type communication (MTC) services and platforms and their role within emerging smart city information and communication platforms and the Future Internet. The first day started with three technical half-day tutorials. A half day tutorial "Understanding NGN Control and Service Platform Evolution – SDP/IMS/MTC/EPC Overview, Standards, and Services" given by Prof. Dr. Thomas Magedanz introduced the key control platform technologies to newcomers. The parallel tutorial "Getting started with OpenEPC to set-up your own LTE/FUSECO Testbed" given by Dragos Vingarzan and Marius Corici from Fraunhofer FOKUS has given practical advises how to use the FOKUS mobile and fixed NGN testbed toolkits. The third tutorial “Getting started with OpenMTC to set-up your own M2M Testbed" presented by Dr. Sebastian from Fraunhofer FOKUS has introduced the FOKUS M2M platform OpenMTC and gave a general overview of the emerging topic of M2M communication and the most important standards in the field. The rest of the day was dedicated to two half day interactive workshops. Workshop 1 on "Migration/Deployment Issues for mobile and fixed NGN Services and Infrastructures" led by Dr. Niklas Blum from Fraunhofer FOKUS, Germany and Prof. Dr. Axel Küpper from TU Berlin/Deutsche Telekom Laboratories, Germany featured ten 15-minute presentations reflecting a market and best practice perspective on network- and service-related topics as policy/QoS control and network virtualization, SDP evolution, WebRTC, OTT services and developer programs within two sessions. A lively panel discussion with the topic "How much network does the service provider need? "was held at the end of this workshop. Participants discussed with the audience their perspective on network and platform requirements for several application areas from the preceding presentations. A definite outcome of the discussion was that the network still is and will be an important factor in a successful service offering, but that much more is needed to deliver services, attract developers and provide value to OTT players with a complete platform for a lively service ecosystem. Workshop 2 was titled “Towards a common M2M/MTC Control Platform – Prospects and Challenges" and was chaired jointly by Dr. Sebastian Wahle, Fraunhofer FOKUS and Dr. Cristoph Peylo, T-Labs, Deutsche Telekom AG. The first session “Horizontal M2M platforms: experiences from recent M2M platform and SDP deployments to support services across different M2M applications domains" featured a scene-setting talk from Machina Research as well as talks from the main operators active in the field. The session allowed for an extensive overview of the current M2M market, the predominant business models and technical challenges. The second session “M2M Verticals & Standardization: Insights from selected M2M application fields and SDO perspective” featured concrete M2M deployment scenarios and views from different standardization bodies including ETSI TC M2M, oneM2M, ITU-T, and others. The concluding Panel discussed the question “Smart Cities and the Internet of Things: fragmented markets and silo mindset or huge potential for synergies across industries?” Key findings from the workshop and the panel sessions include: For business and service modeling in Smart Cities it is important to drive open platforms, developer communities, provide incentives for users to share data and participate, and combine OTT approaches since operators cannot address all verticals. Participation models are key to success. All operators have their own M2M platform covering mostly connectivity management, customized end-to-end solutions are realized upon demand. 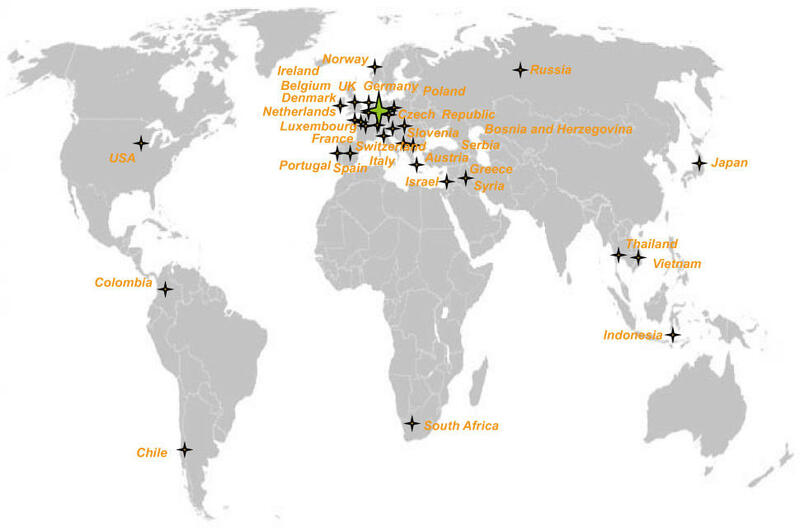 The demand side is still very heterogeneous combined with a highly fragmented market/value chain. This requires the operators to be flexible in terms of their M2M offerings. Cross-domain data gathering and cross-industry combination, together with data analytics are seen as possible business for operators in M2M and Smart Cities. The second day featured a full day conference with 19 presentations from various international network operators and service providers. After the opening by Prof. Dr. Magedanz, Prof. Dr. Henning Schulzrinne delivered a key note on “Protecting the Open Internet: Experience and Future Challenges”, illustrating the upcoming challenges in QoS control and network neutrality. The first session chaired by Prof. Dr. Hans-Joachim Grallert from Fraunhofer Heinrich-Hertz-Institut, TU Berlin, Germany, addressed global mobile and fixed NGN deployment issues as challenges of integrating fixed and mobile IMS and NG IN platforms, managing Diameter as key protocol, promoting network and CRAN virtualization. The presentation were given by all four German mobile network operators and NGMN. The second session focused on operator services over converged broadband networks as VoLTE, RCS/Joyn and Smart City challenges. It was chaired by Prof. Guy Pujolle, from Université LIP6, Paris in France. After the lunch break Prof. Dr. Thomas Magedanz chaired a panel discussion on “Telco Service Transition Challenges and Opportunities: From Voice-based Services towards Data and Smart City Applications“ with experts from Telefonica, BT, Orange, Eurescom, EIT ICT Labs and Columbia University. Prof. Dr. Klaus David from University of Kassel, Germany has led Session 3 addressing Network Evolution & Convergence for Implementing Smart City Communication Infrastructures. Here the European R&D perspective on converged networks and public private partnerships was presented as well as challenges for smart metering and M2M standardization. The final session was chaired by Prof. Mesut Günes from FU Berlin, Germany and focused on service platform evolution for Smart City services with case studies and plans around the World, including Indonesia, Japan and South Africa. Alongside the workshop the newest testbed toolkits from Fraunhofer FOKUS, namely OpenEPC Release 4, QoS-enabled WebRTC, as well as the new OpenMTC toolkit were practically demonstrated.Details on the program and impressions from the event can be obtained from the FUSECO Forum website. 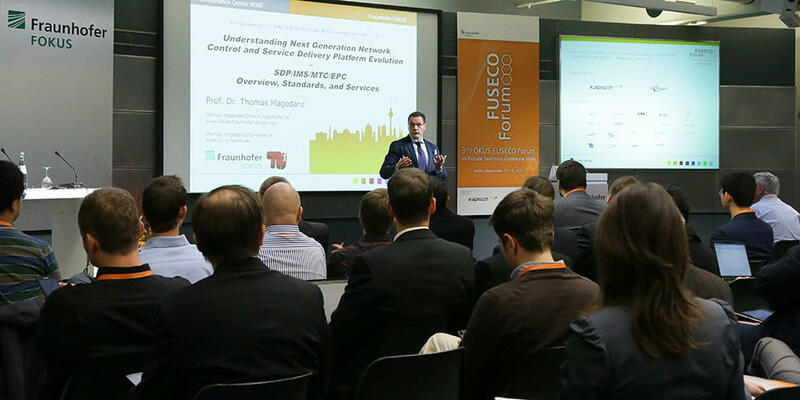 Due to the huge success, the FOKUS FUSECO Forum series will be continued in November 2013 (www.fuseco-forum.org/2013).The second day featured a full day conference with 19 presentations from various international network operators and service providers. After the opening by Prof. Dr. Magedanz, Prof. Dr. Henning Schulzrinne delivered a key note on “Protecting the Open Internet: Experience and Future Challenges”, illustrating the upcoming challenges in QoS control and network neutrality. The first session chaired by Prof. Dr. Hans-Joachim Grallert from Fraunhofer Heinrich-Hertz-Institut, TU Berlin, Germany, addressed global mobile and fixed NGN deployment issues as challenges of integrating fixed and mobile IMS and NG IN platforms, managing Diameter as key protocol, promoting network and CRAN virtualization. The presentation were given by all four German mobile network operators and NGMN. The second session focused on operator services over converged broadband networks as VoLTE, RCS/Joyn and Smart City challenges. It was chaired by Prof. Guy Pujolle, from Université LIP6, Paris in France. After the lunch break Prof. Dr. Thomas Magedanz chaired a panel discussion on “Telco Service Transition Challenges and Opportunities: From Voice-based Services towards Data and Smart City Applications“ with experts from Telefonica, BT, Orange, Eurescom, EIT ICT Labs and Columbia University. Prof. Dr. Klaus David from University of Kassel, Germany has led Session 3 addressing Network Evolution & Convergence for Implementing Smart City Communication Infrastructures. Here the European R&D perspective on converged networks and public private partnerships was presented as well as challenges for smart metering and M2M standardization. The final session was chaired by Prof. Mesut Günes from FU Berlin, Germany and focused on service platform evolution for Smart City services with case studies and plans around the World, including Indonesia, Japan and South Africa. Alongside the workshop the newest testbed toolkits from Fraunhofer FOKUS, namely OpenEPC Release 4 (www.openepc.net), QoS-enabled WebRTC, as well as the new OpenMTC toolkit were practically demonstrated.Details on the program and impressions from the event can be obtained from the FUSECO Forum website. 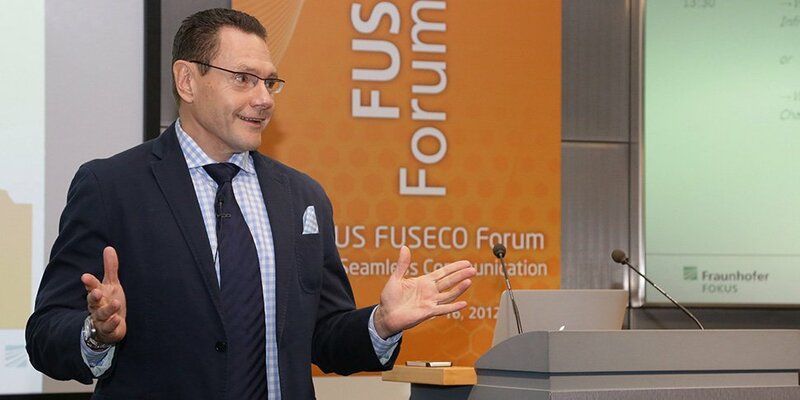 Due to the huge success, the FOKUS FUSECO Forum series will be continued in November 2013.